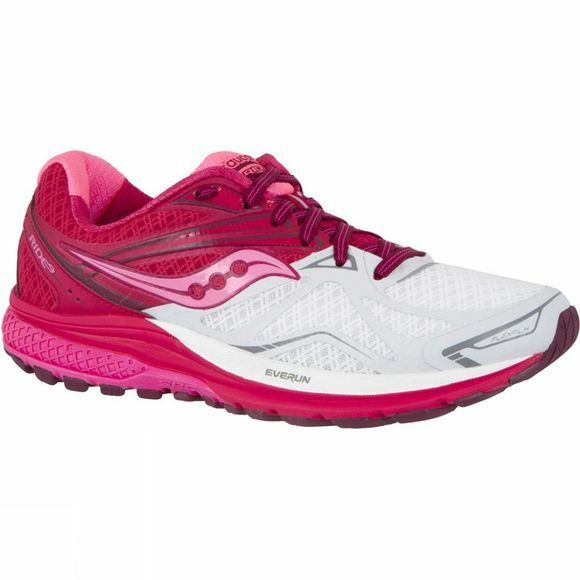 Every mile feels as effortless as your first when you’re sporting the Saucony Women's Ride 9 shoes. 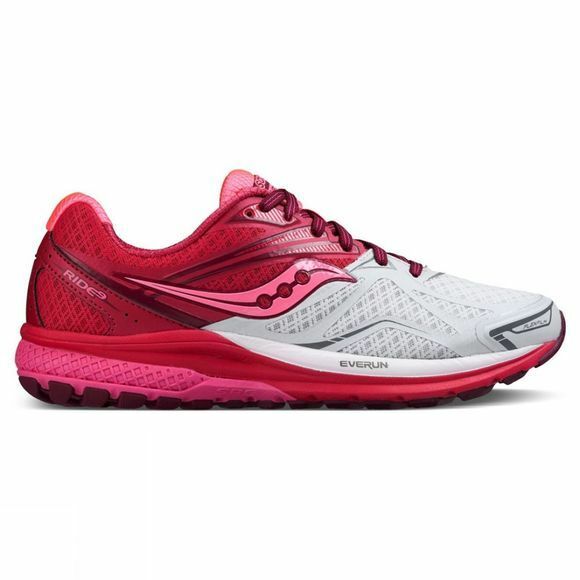 This neutral running shoe provides more energy return than ever before. Experience the buoyant, lively and responsive EVERUN material positioned closer to the foot via Topsole construction. This helps to make your landings smoother in the heel and reduces the pressure in the forefoot. The Ride 9 is out of the lab and ready to run. But the question is, can you take it on? TRI-FLEX Outsole works with the EVERUN topsole to increase force dispersion over a larger surface area.